When you think of precious metals you likely think of gold ingots. But this group also contains silver, platinum and palladium. When precious metals spot prices break to a new high or out of a channel this could be a good time to start looking at trading stocks in and related to mining. Mining stocks can be subdivided into two main groups: majors and juniors. The majors generally have multiple assets that are currently being mined. A few examples of major gold mining companies are: Barrick, Newmont and NewCrest. The juniors can go all the way from companies that just have an idea to companies that are mining a deposit. During mining bull markets, you generally hear a lot of people talking about the junior resource stocks as they can typically be purchased cheaply and that is what many stock traders are looking for. For example, if a junior gold mining company reports on a discovery, their share price may, at least temporarily advance, resulting in a significant profit to the trader or investor. Shown below are one year commodity charts of gold, silver, platinum and palladium. Most people would be familiar with buying silver or gold bullion but platinum and palladium can also be purchased. The current, unofficial, precious metals spot prices or quotes can be found underneath the title of each chart. 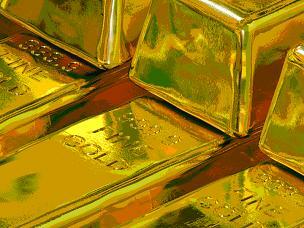 Obtaining trading information from commodity charts of precious metals is similar to understanding stock charts. Looking at these charts once in a while will give you an idea on what is happening to bullion as well as to the mining sectors.